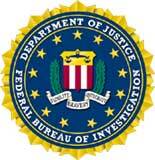 Working with the FBI was one of my more memorable and fun jobs as a motivational keynote speaker. Not long ago I worked as their motivational speaker in Utah when we were at a FBI event in Salt Lake City, Utah. Though they called me looking for a professional motivational speaker and humorist, you never would have known it from the messages they left on my answering machine. I originally got a call from a woman name Jill. She left very little information besides the fact that she was with the FBI and needed to speak with me immediately. Trust me, when you get an answering message that –without any details – asks you to call back at their number at the FBI, your heart skips a beat. The division I worked for is NICS, which is the department that registers guns in the United States. As part of the package of gifts handed out to the participants of the meeting, everyone got a handmade chocolate gun. 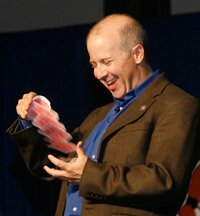 Well, if you are a comedian like me, having a room full of agents armed with chocolate guns is just a dream come true. That tiny bit of information was like fuel for our comedy rocket. Trust me… for me this was a good day. A very good day. If every job had something as wacky and wonderful as this, my job would be WAY easier. But even before I started to poke fun at the chocolate gun, (because making jokes is my job… that’s what comedians do), the little gift had already caused problems. The woman who was responsible for bringing the candy guns to the meeting had caused quite a stir on her airline on the way to the conference.. Of course, you cannot bring guns on the plane, but there are not such rules about chocolate guns. As she was trying to make the candy fit in the overhead compartment, her fellow passengers were a little confused as she asked her fellow FBI friend to “help met get these darned guns in!” No kidding. She apparently actually said that exact thing. Speakers love that when something amazing and hilarious like that happens with out us… all we have to do is to honestly retell that story from the platform and the audience howls. Very funny. The conference – and my humorous motivational speech – as a whole went very well. It was such a fun speaking experience. As it was coming to an end, the Section Chief Gene Donaldson came to me and pinned on my jacket a FBI lapel pin and had some very flattering words for me. How cool is that!? It was a good momemnt. I still have that pin on my lapel and have no plans to ever take it off because in my own little way I am now and will forever be a part of the FBI. But the best part of being their speaker in Utah still was a “gift that kept on giving.” A few weeks after the event, I received a letter from the Department of Justice. My heart immediately started going wondering, “what in the world did I do?” But of course I was being an idiot; Department of Justice and the FBI are the same. Inside the envelope was a terrific letter of recommendation. I enjoy giving funny speeches; I love being a motivational speaker and comedian. There isn’t a day of my working life that I’m not having fun. But I gotta admit, some jobs really stand out as unique and special. And speaking for the FBI in Utah was one I won’t soon forget. Hire Brad to Work with YOUR organization; Go to the contact page.